VW use specially encrypted keys that are produced specifically to the VIN number. 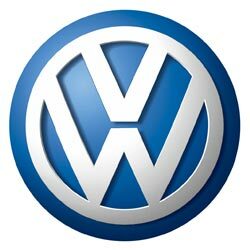 They are pre-programmed by Volkswagen with a special encryption known as 'Component Protection'. Because of this, replacing keys for VW cars and vans can be more difficult than most. It is not as simple as just using a standard remote key. However, for most Volkswagen models, we have the ability to calculate the Component Protection data and produce 'dealer keys', which allows us to program blank keys from our stock. No more waiting 7 - 10 days for keys from the dealer! If the above does not apply, please Click Here for a quote.The price will vary depending on the vehicle, situation, location etc. However we have included some offers below for you to have a look at. NOTE: The prices quoted below are given on the assumption that you have a working key (fully operational) and only require a spare. Your car is factory standard. You have all the necessary documents and security codes. You can bring the vehicle to us / meet us a location of our choosing. 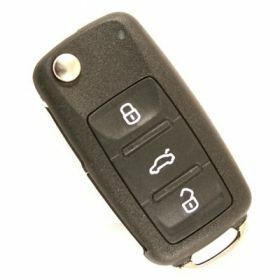 2 or 3 button remote key for your VW. Supplied, cut and programmed at the vehicle. Offered with a 12 month warranty against electronic failure. 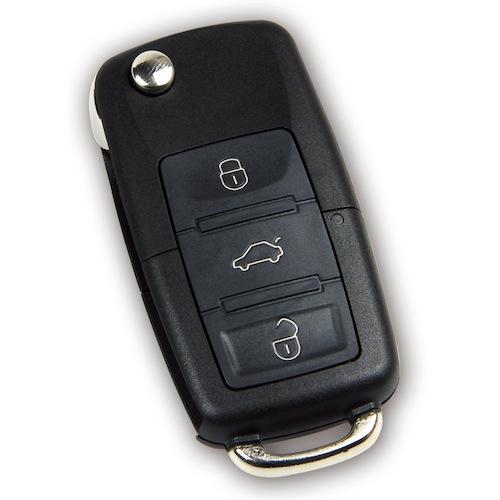 3 button flip remote key for your VW. Supplied, cut and programmed at the vehicle. Offered with a 12 month warranty against electronic failure.